I'm wedding photographer from Trowbridge, Wiltshire in the UK – from rustic barn weddings in the Great British countryside, grand hotels and village halls, I love to to capture weddings at every type of venue as well as all different types of people. My aim is always simple – to create modern, beautiful, and creative images in a documentary style that takes you back to all the love and emotions that were shared between you, your family and friends on your special day. With so much planning going into your wedding, you want to be a part of every moment, but with thousands of emotions and unexpected joyful moments going on all at once that can be difficult! That’s why I’m there – to make sure that I can capture those moments you may miss. I've been passionate about wedding photography ever since I shot my first one back in 2012. My job is to retell your wedding day in a creative way that will bring you back to everything you lived as well as all the moments you may have missed. With a degree in photography primarily focused on documentary work, you don’t have to worry about me posing and instructing you on what to do all day. I’m a documentary wedding photographer and my personality and work compliment this style, so how I do my thing is by just letting you do your thing. It’s your day afterall, and you've but a lot of effort into making it amazing so I’ll make sure the photography is too. If you’re currently looking for a wedding photographer and you have loved what you've seen on my portfolio and on my blog, then please get in touch so I can check if I’m available for your wedding date for you and have a chat about your day. I’m lucky to get booked up extremely fast, so it’s best to get in touch sooner rather than later, especially if you’ve already booked your venue! As I'd love to hear more about what you have planned. There is some beautiful scenery as well as some awesome urban backdrops in the UK, especially in Wiltshire and the surrounding area, which make for gorgeous engagement photo shoots. We really are spoilt for choice when it comes to amazing locations for your engagement photography. From the cobbled streets of Bath & Lacock to idyllic lakes and forest at places such as Shearwater Lake or Heaven’s gate in Longleat there are plenty of location to capture some amazing shoots and get you used to the camera before your big day. All you need to do is choose where you’d like your shoot, and then we can simply go for a walk and take some photos as we go! I love pre weddings shoots / engagement photo shoots… whatever you like to call them! they are very worth doing as it’s so beneficial to me as well as you. As we get to know each other a little bit, and I’m not a complete stranger that turns up on your wedding day. One of the great advantages of having an pre wedding shoot / engagement photo shoot is is that there is no pressure on these shoots – a luxury I don’t often don’t have at a wedding! No guests eager to take their own photos, no wedding venues keen to get you seated, and there isn’t the added ‘hectic vibe’ that so often comes with a wedding day. While most of my bride and grooms have a pre wedding shoot, you don’t need to have booked me for your wedding to enjoy an engagement shoot. I’ve had had the pleasure of creating some awesome engagement pictures for couples who had been gifted the shoot or simply wanted some gorgeous photos for themselves as well. Based in Wiltshire my background is in wedding photography although family portrait photography has always been something I love to do. Documenting and capturing families as they develop is important … and so, I want to be able to do that for you. I love creating awesome family photography of you and your nearest and dearest. I travel throughout Wiltshire, Gloucestershire and the rest of the UK creating quality family portrait photography – So if you are looking for portrait photography in Wiltshire, the South West, or anywhere else in the UK I would love to hear from you. Please get in touch for more information on booking. 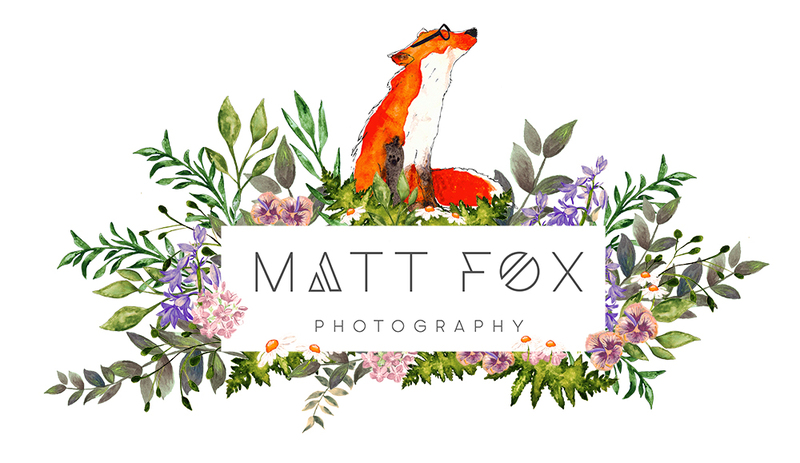 The idea behind 'The Flash Fox' came from photographing weddings and seeing the many photo booths my clients were hiring fall short of the quality and aesthetic I strive for. So the hunt began to produce something of my own which perfectly compliments my photography as well as standing on its own as a great product. For quality the professional studio flash and beauty dish ensures everybody will always look picture perfect. It also manages to house not only the printer for instant prints on site but two touch screens, the front displaying the live view, but also the back screen to display a slideshow as well as allowing you to email and upload to social media afterwards.